Taiwan’s President Ma, Ying Jeou is the liberalization of Taiwan’s economic and commercial relations with China by hastily signing and Economic Cooperation Framework Agreement (ECFA); however, China does not recognize Taiwan’s sovereignty and even continues ti threaten the use of military force against Taiwan. 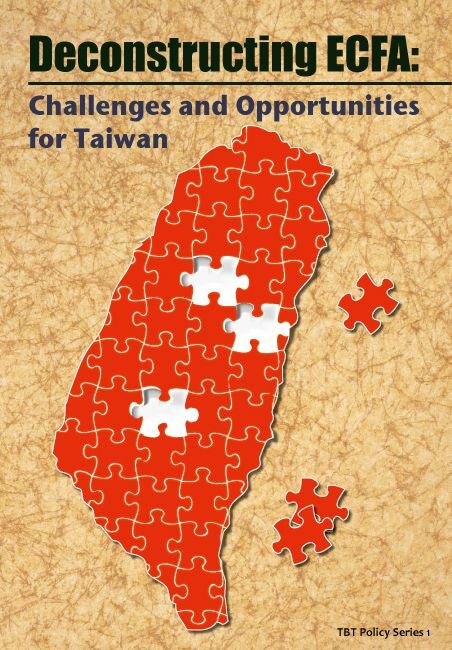 In this book, we note that Taiwan is facing an unprecedented crisis with regard to its sovereignty and security because the Ma government willingly or mistakenly accommodates China’s policy of strong dominance over Taiwan. Chinese leader use ECFA to implement their cross-strait policy of negotiating “first the easy, ,then the difficult; first economics, then politics.” They hope that, based on market principles the bigger Chinese economy will have a magnetic effect on the Smaller Taiwanese economy. Since the ECFA has taken effect, we need to understand the possible impact on Taiwan’s economic development even more than before. We need to understand what implications of ECFA will have on industrial development, domestic employment and even Taiwan’s sovereignty. Therefore, we hope against to appeal to the public what the possible damage that ECFA might be and its follow up negotiations might cause and to take precautions beforehand. This book can be served as the reference of readers who are interested understanding the possible effect and onslaught from ECFA on Taiwan’s economy, future fate, and related issue.